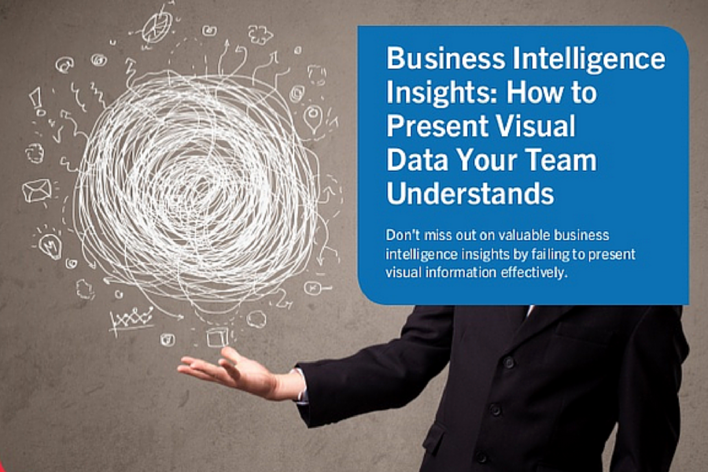 Don’t miss out on valuable business intelligence insights by failing to present visual information effectively. Is bad presentation of information killing good decisions in manufacturing? Lack of data is rarely a problem for today’s manufacturers. What can be a problem is making sense of all that data. DATA: facts (quantities, values, names etc) from which other information can be inferred; numbers and characters input into a computer. Rows and columns of numbers can mean nothing to a manager. Convert them into a well-designed graph and the trends become easy to spot, leading to informed decisions. Visual data presents raw facts in a graphical form that’s easily accessible to analysts and decision-makers. Visual data delivers accessible business intelligence insights. Infographics (documents which present information in a graphical form) chart the rise of visual data. In 2012, infographic became one of the most commonly used keywords in Google search. But converting information into images isn’t about creating decorations. It’s about allowing individuals and teams to make better informed decisions. Businesses invest heavily in data capture systems, integration and processes. However, these are of little use unless staff can easily interpret outputs and reports. Working together on visual data, PepsiCo and Safeway improved forecast accuracy by 35%. Like all communication, visual data must be done well to be effective. For all its benefits, visual data also brings challenges. Deuteranopia, or red-green colour vision deficiency (‘colour blindness’) is a condition that affects around 5% of the male population. The most effective visual data solutions remove scope for misunderstanding and avoid ‘chartjunk’ – images which look nice but fail to convey new information. Sometimes, people show data in a fancy format just because the option is there. We’re all keen to make good-looking presentations – but bar charts, dials and pie charts are popular for a reason! Improved communication: one set of figures can say different things to different people. Visual data highlights the key messages for everyone to see. Don’t sleepwalk into costly PC and software upgrades – learn why now is the best time to see if new ERP will give you a bigger payback on your IT investment with the guide: Is Microsoft Charging You for an Upgrade?